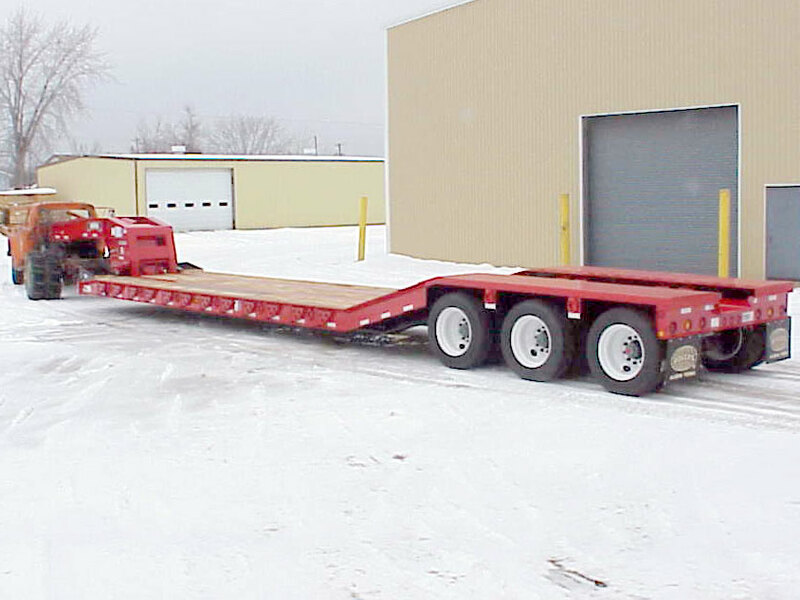 This SP60GR is a 60-ton capacity lowboy that features the often-imitated "Gentle Riser" deck style that can transport multiple machines in one trip. It has the "Croucher"® low front end, the "No Foot"® Tower detachable gooseneck, and air ride suspension. The "Gentle Riser" has a 16° incline slope to a level deck over the tires. Customer specified depressed center plate protects from road spray and is reinforced so a track-style milling machine can be placed on the rear frame. The deck has wood covers over a tool box for storing chains and blocks.